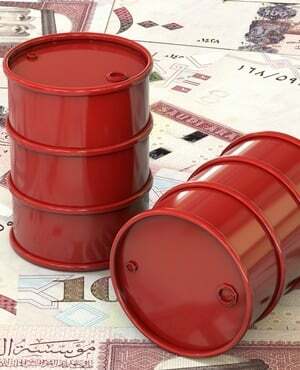 Oil extended gains after an industry group signalled American crude stockpiles fell more than expected and a weaker dollar raised the allure of commodities priced in the US currency. October futures in New York climbed as much as 0.6% after Tuesday’s 0.6% advance. Crude inventories fell by 5.17 million barrels last week, the American Petroleum Institute was said to report, more than double what analysts forecast government data will show. Also boosting prices is a four-day slide in the greenback, increasing the appeal of dollar-based commodities contracts. Oil has been struggling to regain the highs of late June as fears over a US-China trade war linger and the contagion risk from Turkey’s economic crisis weighs on prices. Meanwhile, a Trump administration plan to release 11 million barrels of crude from US strategic reserves - a move that may reflect the White House’s worries over tight supplies - was seen short of offsetting the impact of impending sanctions on Iran’s crude exports. West Texas Intermediate crude for October delivery climbed as much as 40 cents to $66.24 a barrel on the New York Mercantile Exchange and traded at $66.21 as of 3:52 pm in Tokyo. Total volume traded was about 58% below the 100-day average. The September WTI contract expired on Tuesday at $67.35. Brent for October settlement added 37c to $73 a barrel on the London-based ICE Futures Europe exchange. The contract advanced 42c to $72.63 on Tuesday. The global benchmark traded at a $6.80 premium to WTI. Futures for December delivery rose 1.6% to 504.4 yuan a barrel on the Shanghai International Energy Exchange. The contract climbed 1% on Tuesday. The Bloomberg Dollar Spot Index slid 1.3% in the past four sessions and traded little changed on Wednesday after President Donald Trump was said to complain about the Federal Reserve’s interest-rate increases. Fed chairperson Jerome Powell’s Friday speech on monetary policy will be closely watched in financial markets as speculation swirls over the impact of Trump’s remarks on central bank decisions. Investors are also awaiting the outcome of trade talks between the US and China later this week, the first formal negotiations since June. Still, President Trump said at a rally on Tuesday that various trade talks would take time, signalling a major breakthrough is unlikely. In crude markets, analysts surveyed by Bloomberg forecast stockpiles fell by 2 million barrels last week, with all but two of the 13 analysts surveyed by Bloomberg expecting a drop when the US government releases data on Wednesday. WTI fell last week after the Energy Information Administration showed crude inventories unexpectedly rose the previous week while stockpiles at the Cushing storage hub in Oklahoma climbed for the first time since May. Petroleos de Venezuela SA said oil facilities were not affected by an earthquake that hit the South American nation on Tuesday.